Home Uncategorised Could Calvert-Lewin Be Everton’s Long-Term Striking Solution? 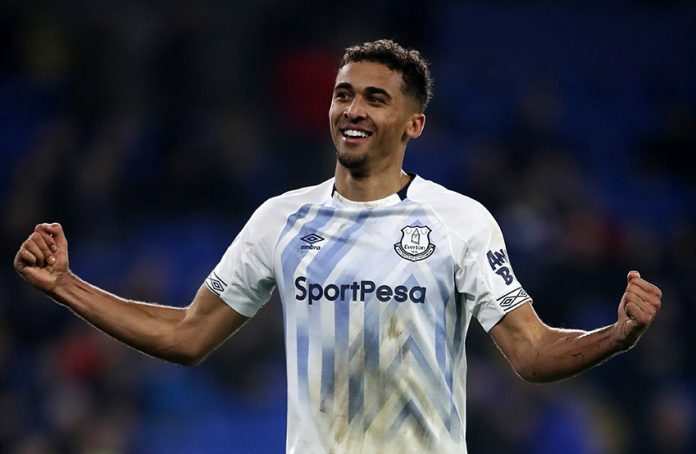 The return of Dominic Calvert-Lewin to Everton’s starting line-up took many by surprise, but the forward has led the line in exemplary fashion in recent games. 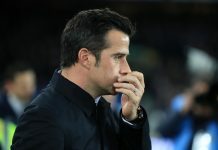 Marco Silva has struggled to develop a consistent or coherent identity in his Everton side, with his decision to throw Calvert-Lewin back in prompting many to suggest that the manager was at the stage of desperation. Whether an act of desperation or a carefully-planned move, it has paid off for player, coach and club. Calvert-Lewin now looks to have the chance to demonstrate his talents in the remaining games. The Englishman has started Everton’s last four league matches, which has coincided with some better form from Silva’s side. The most predictable thing about Everton this season has been their unpredictability. 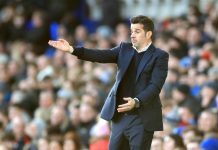 Fans have never known whether to expect a fluid attacking performance or a stilted display, with punters wise to avoid Everton for much of this season. Yet Everton’s impressive display in the 2-0 win over Chelsea will make them worth consideration for those looking for what to bet on today for the rest of the campaign. Pros at betconnect, a social betting platform, may well fancy the Toffees to deliver similar shocks at Goodison Park when welcoming Arsenal and Manchester United in the remaining weeks. Calvert-Lewin scored in the 3-0 win at Cardiff and the 3-2 defeat at Newcastle, with Everton yielding a two-goal advantage in dramatic fashion. The forward also led the line to good effect in the 0-0 draw in the Merseyside derby and that win over Chelsea. His speed, strength and technical awareness should keep Calvert-Lewin in the striking position for the rest of the season, a great chance for the Englishman to stake his long-term credentials. The forward’s tendencies further favour the make-up of the current Everton side. 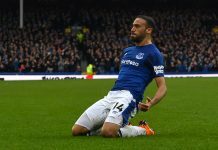 Tosun has shown glimpses of the predatory attributes that prompted Everton to fork out £27 million in January 2018. But while Tosun has suffered somewhat by the resurgence of Calvert-Lewin – drawing criticism for proving an ineffective spearhead of the attack – Richarlison has benefited. Forced into playing as the central forward earlier in the season with mixed results, the Brazilian has since enjoyed returning to the wider role that gives him more tactical freedom. Rather than being expected to bully defenders and run selflessly, Richarlison is able to drift and cut inside at will. With goal threats like Richarlison and Gylfi Sigurdsson operating behind the striker, the centre-forward in Silva’s side can afford to be more of a selfless physical presence than a clinical finisher. Calvert-Lewin fits that mould perfectly, although he still has an eye for goal.​ Last season Calvert-Lewin produced eight goals across 44 appearances, a respectable figure for a young forward breaking through into the first team. He took 31 appearances to reach the same goals tally, a maturity that has gone slightly under the radar in what has been another frustrating campaign for Everton fans. Calvert-Lewin would be first to admit that there is work to be done on improving the ruthlessness of his finishing, demonstrated by a one-on-one spurned in an otherwise strong England Under-21 performance against Poland. However, he is still just 22-years-old. Calvert-Lewin will know that Everton are likely to invest in a striker in the summer, but the remaining weeks can be the perfect audition for a player reinvigorated by his manager’s trust.